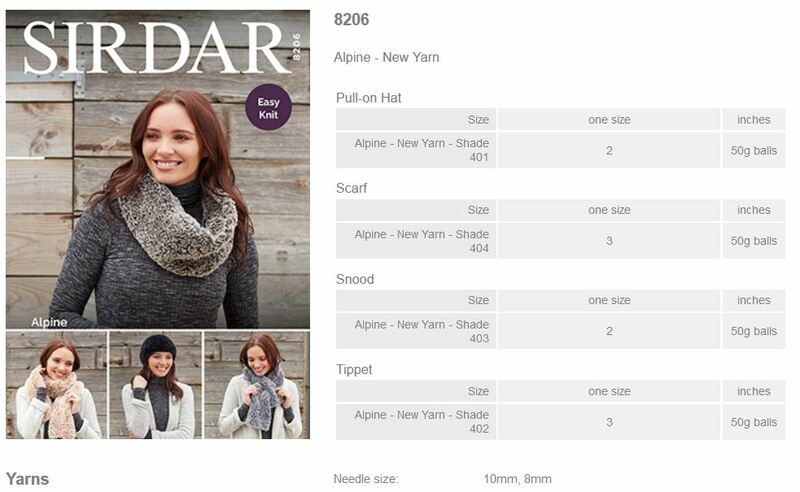 8206 - Pull-on Hat, Scarf, Snood, Tippet using Alpine Leaflet with designs for a Pull-on Hat, Scarf, Snood, Tippet using Alpine. 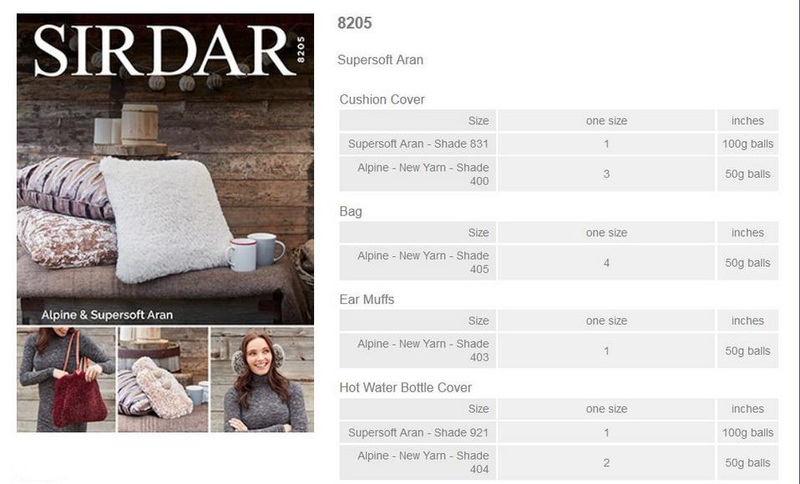 8205 - Cushion Cover, Bag, Ear Muffs, Hot Water Bottle Cover using Alpine Leaflet with designs for a Cushion Cover, Bag, Ear Muffs, Hot Water Bottle Cover using Alpine. 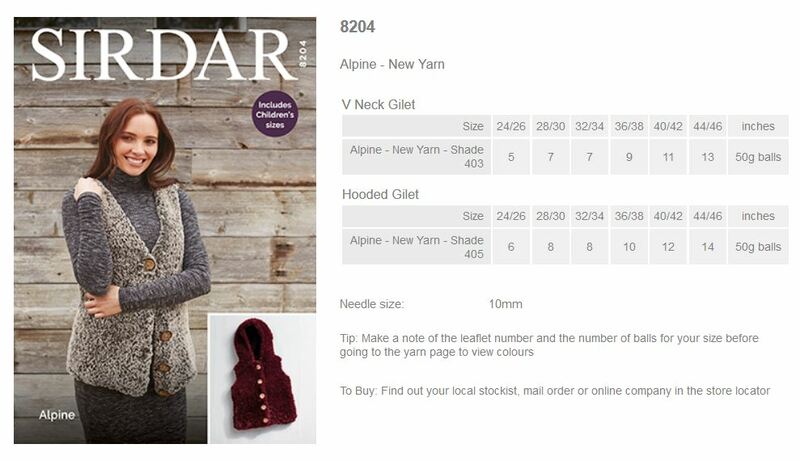 8204 - Hooded Gilet and V-Neck Gilet using Alpine Leaflet with designs for a Hooded Gilet and V-Neck Gilet using Alpine. 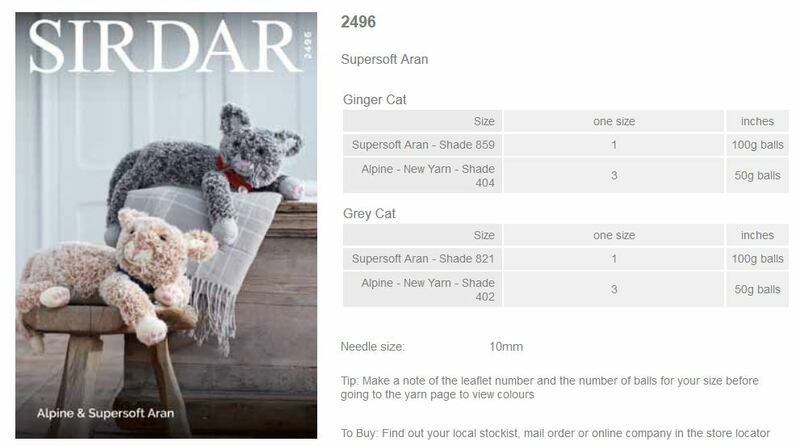 2496 - Cats using Alpine Leaflet with designs for Cats using Alpine. 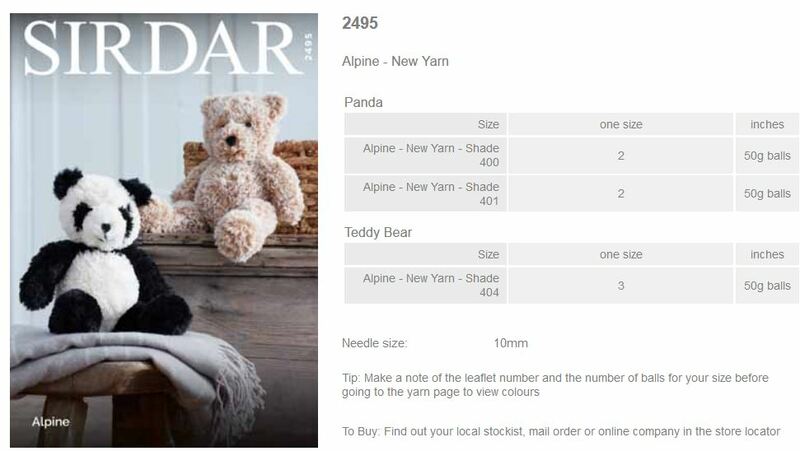 2495 - Panda and Teddy Bear using Alpine Leaflet with designs for a Panda and Teddy Bear using Alpine.